I realize the DCnU has changed but I am having trouble recognizing some of the people in this image. 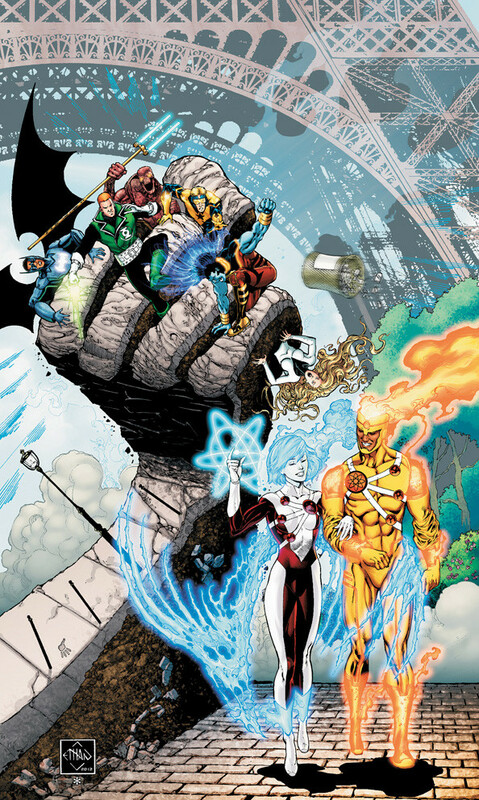 I recognize Guy Gardner (Green Lantern) and Booster Gold. I assume that one of them is a remnant of the Batmen from Batman Incorporated. Wasn't Batman Incorporated retconned after Flashpoint? If they weren't, does this mean Batman still sanctions their operations (and licenses his Bat icon)? 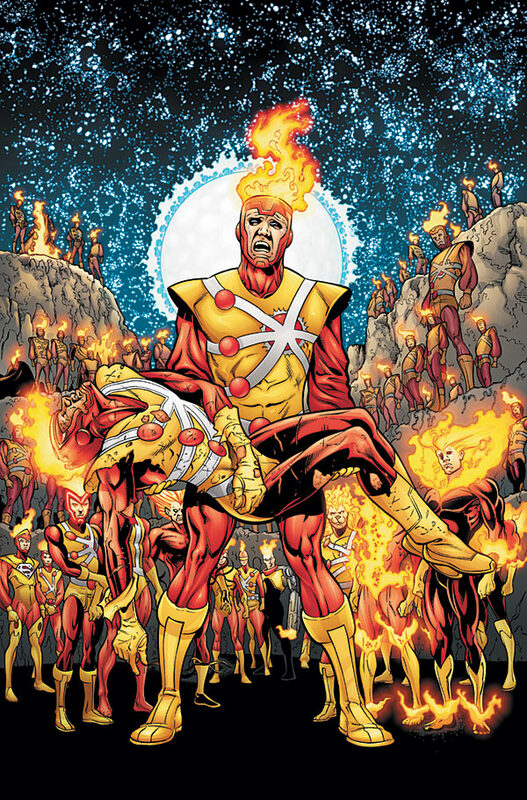 I admit to having stopped reading Firestorm back when he became a fire elemental (Ugh). But I can still recognize his costume. (When did he become a Black guy?) 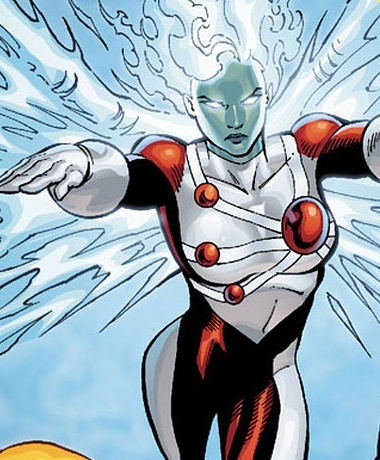 The woman bears a strong resemblance to Firehawk with a costume change. Anybody know why their costumes look the same now? Who are the fellow with the Mohawk, the woman dangling from the bottom of the stone hand and the red guy with the staff? 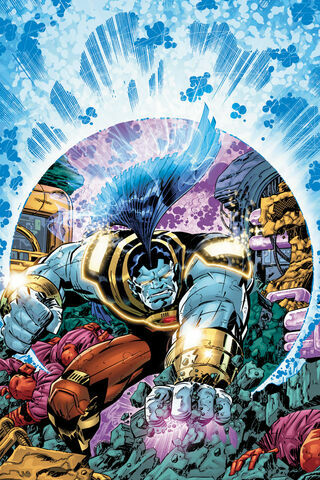 The blue-skinned mohawk person is Kevin Kho/O.M.A.C. (as Zachary's answer notes). 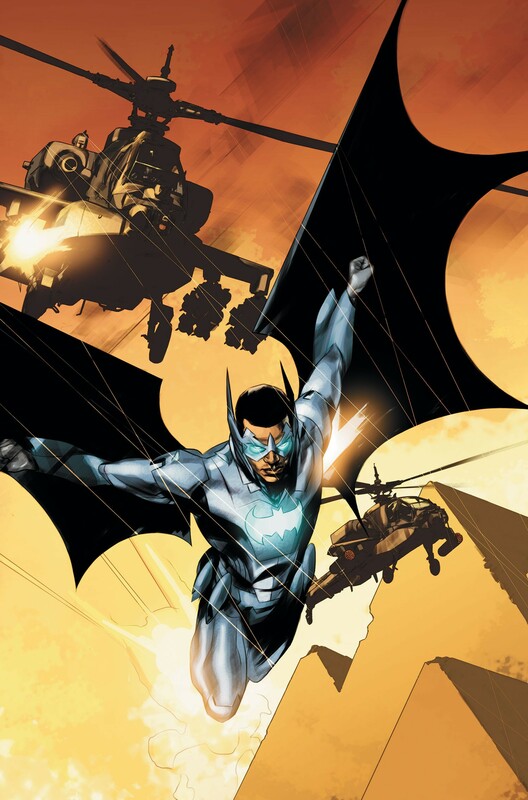 The character with the Batman symbol is Batwing (David Zavimbe). 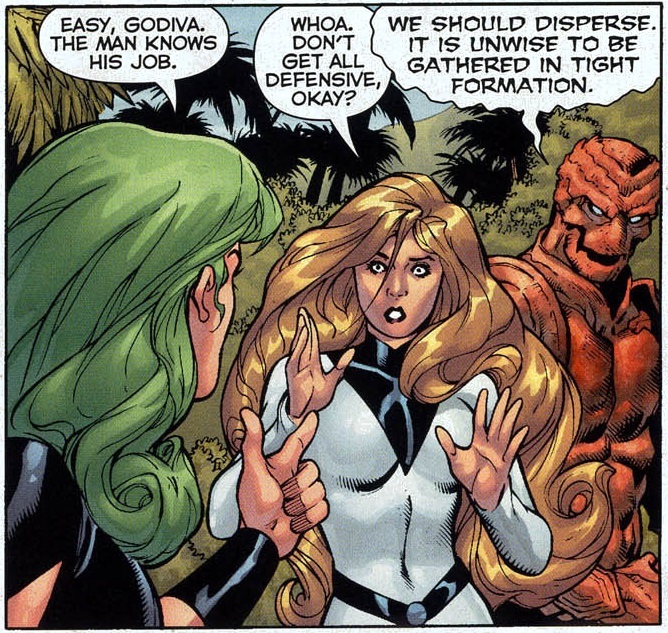 The woman on the ground is (again as Thaddeus guessed) Firehawk. 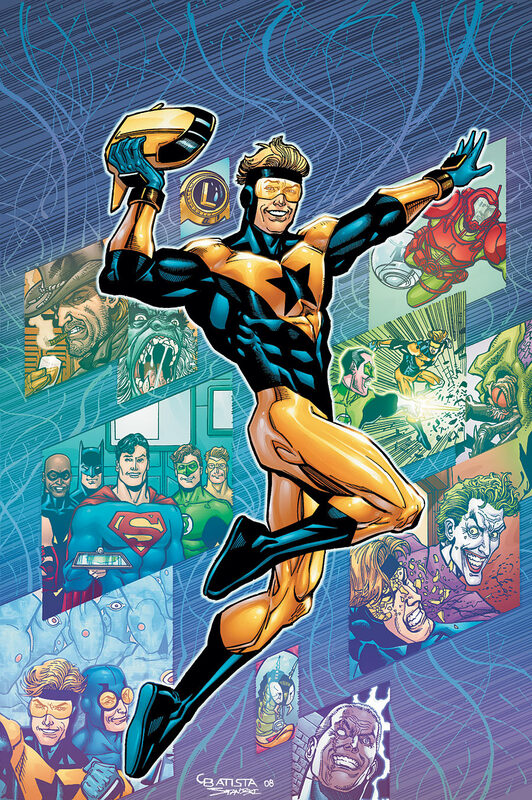 The character in the gold and blue costume with a star on the chest is (again as Thaddeus surmised) Booster Gold (Michael Jon Carter). The blonde dangling woman is presumably Godiva (Dorcas Leigh). 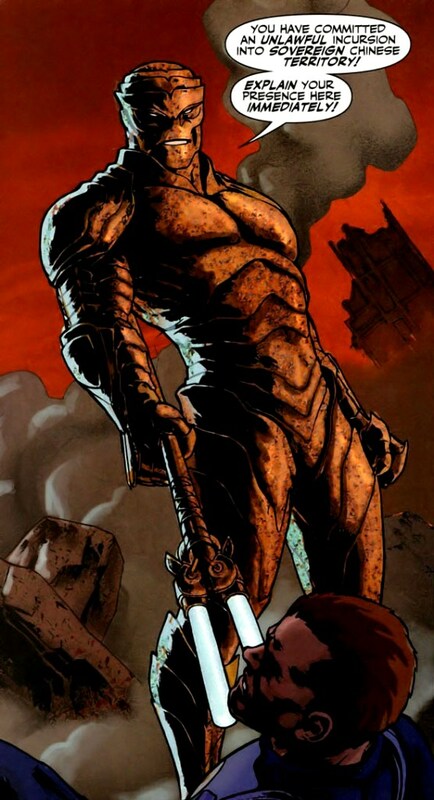 The red-skinned character is August General in Iron (Fang Zhifu). 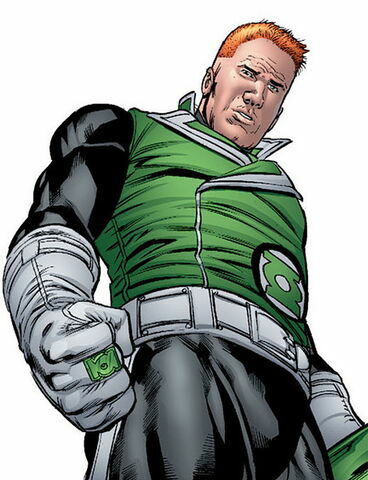 The Green Lantern is (again as Thaddeus surmised) Guy Gardner. The guy with the staff is August General in Iron, mohawk is O.M.A.C., it's either Batman or Batwing, and I believe the girl with the hair is Godiva. All of them are from the short lived reboot Justice League International. I did find this random forum posting which shows Godiva? with a black jumpsuit instead of a white. 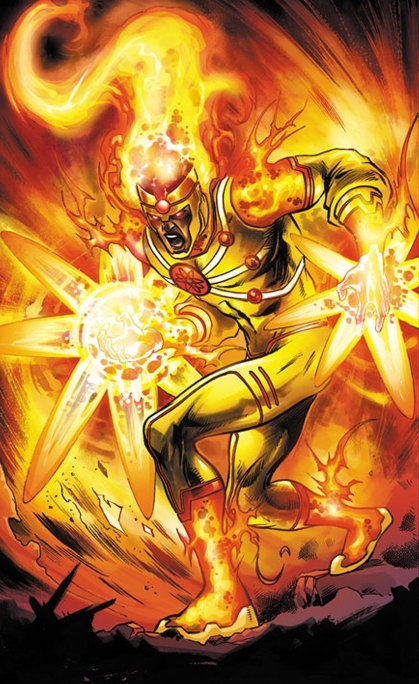 I'm guessing that would be Firestorm, from "The Fury of Firestorm: The Nuclear Man". Not the answer you're looking for? Browse other questions tagged comics character-identification or ask your own question.